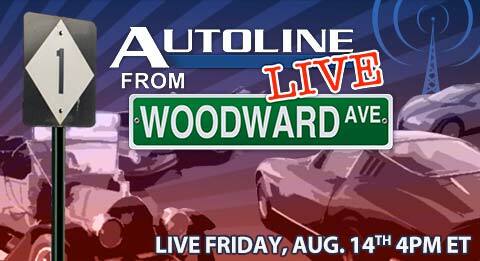 Coming Soon: Autoline LIVE from Woodward Ave.
Get ready for a special webcast THIS FRIDAY from the site of the biggest one-day automotive event in the world! Once again we’ll be back on the curb and ready to ogle the classics cruising up and down Michigan’s most famous avenue, Woodward. This year we’re welcoming a bevy of guests including Jim Hall, automotive analyst; Tricia Hecker, Head of Mopar Marketing; Scott Burgess, Motor Trend; Mark Trostle, Head of Dodge and SRT Design; and Mark Phelan, Detroit Free Press auto critic with a unique look at vintage emergency vehicles. Don’t know why you didn’t leave the Woodward Dream Cruise online for viewing after broadcast. Everyone cannot be available for the live view. You have missed an opportunity for additional viewership, including me.